I could hardly start my Positive Beauty Pledge without doing it myself, could I? 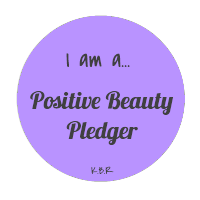 So, to give you guys a heads up as to what exactly you will have to do to receive your Positive Beauty Pledge Badge, here is my pledge (the pledge is something that you have to write, and it is completely up to you what you agree to do). Also, a quick note, that the point of this is not to make you feel bad about yourself. The point is to take a little time to sit back and realise that we're all the same. We have our good days and we have our bad days, but that doesn't mean that we are any more or less beautiful than anyone else. I, Kat, of Kat's Beauty Reviews, promise that I will never say anything bad about someone else's appearance on my blog. I will never criticise someone else's style or dress sense, even if it isn't to my taste. I will stick to the adage that "If I don't have anything nice to say, then I won't say anything at all", and whenever someone else makes a nasty remark, I promise that I will not make any comments relating to the matter. If anyone says anything nasty about my appearance, I will take it on the chin and accept that my beauty is not to everyone's taste. Despite other people's thoughts, I believe that I am a beautiful person inside and out. What are you doing in this picture? 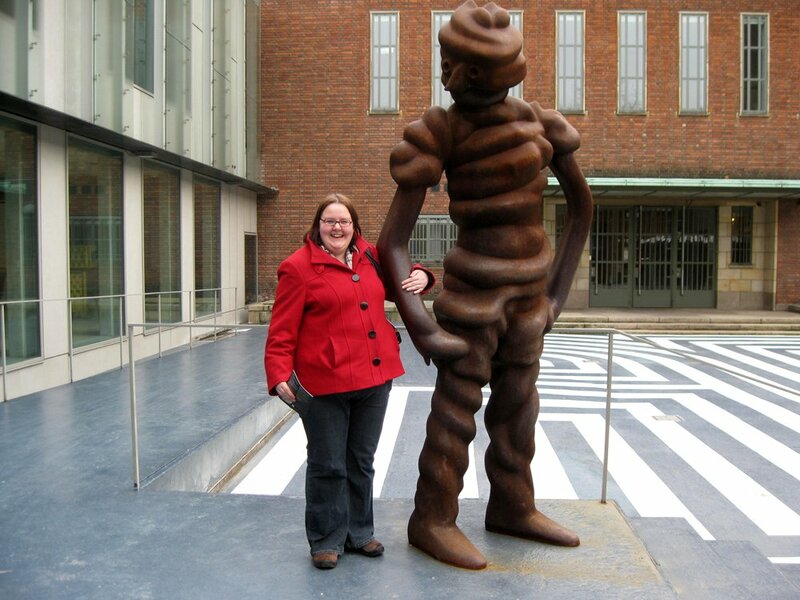 I'm at an Art Gallery, in Rotterdam. 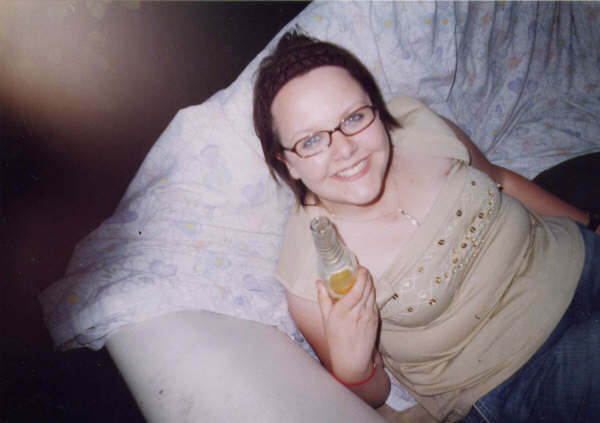 I just feel that this picture is a strong example how fat I have allowed myself to become, and I feel quite ashamed of myself for doing that. I have to admit that I've been looking at this picture for a long time (as I tried to pick a picture, and as so many other girls have said about doing this pledge, it really was difficult to pick a picture for this bit! ), and especially since the picture has been automatically shrunken a bit, by Blogger, I kind of feel more "accepting" I guess you can say, that (for now) I am a fat person. It's also made me realise, that yep, I am that way because of my own greed and only I can change that. It's easy to get angry at others for judging me, but really, I'm more angry at myself than anything. I have to accept that, learn from it, and move on, by actually doing something about it. It was taken in June 2006. As you might be able to tell from the bottle of Reef (! ), I was at a party! Ironically, I think I look good in this picture, because it was taken from an angle that was quite flattering. 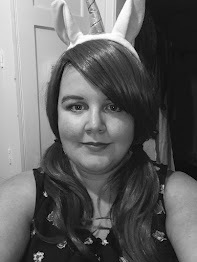 It's weird, because my hair is a mess (come on, it's slapped back by a headband), and I'm all rolls of fat, but above else, I look genuinely happy in this picture. It's made me realise that being happy is really the key to being beautiful. Because, even though I don't particularly like how I look in the first picture, at least I'm smiling, and I do have fond memories of that day, which is more important, in my opinion. I guess I just think that life is too short to be worrying about how I look, I need to be getting out and doing things I enjoy. I am never going to be a supermodel, and I don't want to be, so I'll just work a bit harder to "improve" the body that Nature gave me, and appreciate it. Melanie Chisholm (Sporty Spice, from The Spice Girls). When I was a School, a lot of the lads considered her to be the "ugly" one, and I think the media always placed her firmly in the shadows of the other four. In the mid to late nineties, she didn't quite dress like all of the other girls either, so she certainly stood out in a way that she got a lot of flack for. And, I am done (thank god! ), so I hereby award myself with my Positive Beauty Pledge Badge (hurrah!). I love the idea of this. Very cool - I can't find your email but I'd love to spread the word. I'm on robyndskinner at gmail dot com.